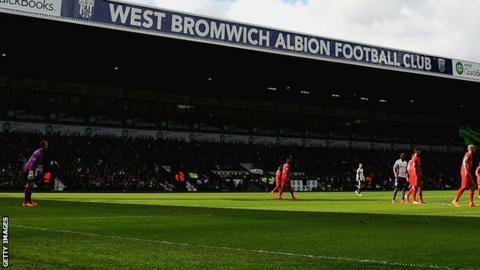 West Bromwich Albion have set a deadline of 31 May for interested parties to purchase the club. Chairman Jeremy Peace wants a sale for around £150m to be completed so it does not impact on summer transfer dealings. Groups from the Far East and USA are keen, with some already performing due diligence, but Peace will dismiss any deal which runs into June and July. The Baggies - 13th in their fifth straight Premier League season - posted pre-tax profits of £14.7m in February. "Due diligence on West Brom could take as little as three weeks, so the chairman's deadline could be met. "Mr Peace knows the importance of a successful transfer window this summer and won't allow this to drag on through June and July. He feels that the head coach Tony Pulis deserves a clear run at his transfer targets, with guarantees of considerable expenditure." Peace, chairman for 13 years, owns 90% of the company which owns West Brom. The 58-year-old has a reputation for being a tough negotiator and suitors for the club are thought to value it at about £40m less than the sum for which he expects to sell. The position of head coach Tony Pulis is not under threat despite the potential takeover. Pulis has never been relegated as a manager - an achievement Peace deems crucial next season before the Premier League's new £5.136bn television rights deal begins in 2016-17.